Didn’t want the sun to set on today without capturing something on paper (actually the sun set hours ago and this is just me and my keyboard, no paper involved, but lets not get caught on details!). Today I went to Oxford for Connor’s pre-inquest review hearing. I hadn’t set foot outside the station before Agent T tracked me down, completely unplanned, she’s spotted my diabolical hair, an occupational hazard of shaving your head to raise money for legal fees! 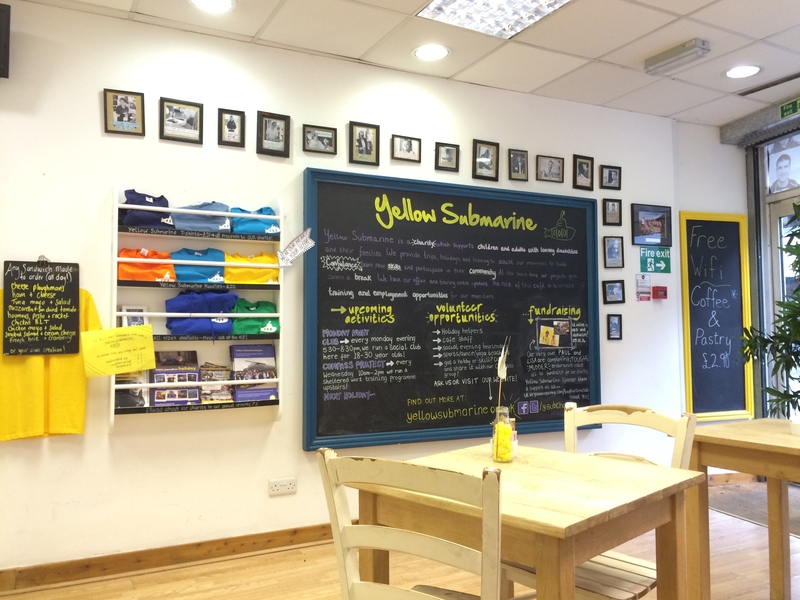 We decided to head to Yellow Submarine (an awesome cafe run by people with learning disabilities) for a cup of tea. An award winning cafe no less, they could teach the HSJ a thing or to, but I digress. 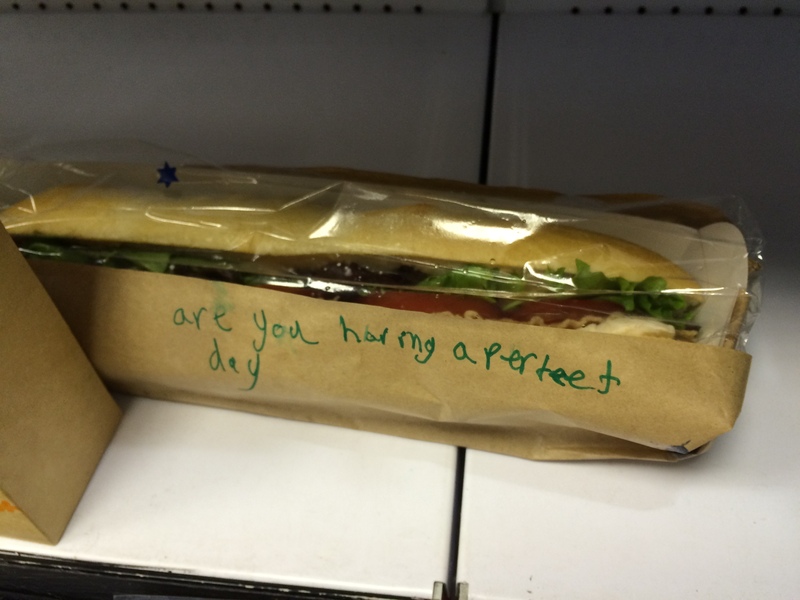 Shortly after I met Sara and Rich and I grabbed a baguette before we headed for County Hall for the pre-inquest review hearing. Not sure if it was a hearing or a meeting really, it involved the Coroner, a court, two legal teams and a family devastated at their loss. The court room was adjacent to a cafe, so you could hear the gentle tinkling of glasses as life continued as normal on the other side of the door. I don’t spend a lot of time in court and was struck by some of the archaic practices. We all had to stand as the Coroner entered, something I’ve not done since school more than half my life ago, but at least we didn’t have to recite ‘Good afternoon Mr Coroner’. Having asked permission to live tweet the proceedings we were declined, so copious note taking ensued. There were some gut churning, head reeling moments, the most severe of which was Sloven Health trying to claim (again) that Connor’s death was due to natural causes. We don’t need to get into that here, suffice to say that the Coroner was clear that in no uncertain terms death by drowning is not natural. So what is my immediate reflection after today. I was fully prepped to feel despondent, the challenge with seeking Justice, is that no matter what the facts or truth is, there appears to be an awful lot of mud slung to try and muddy the waters. No matter how hard we try, Sloven Health are never far from a delaying tactic, an untruth, an accusation. The outcome of the pre-inquest review was that the Coroner would go away and think (a good outcome I suspect) and he’ll come to a decision in the next two weeks about the full scope of the inquest. To that end there was no resolution today, no progress, and yet more hurtful untruths. Yet as I sit here tonight typing this I feel positive and hopeful. It could be naive optimism (I’m relentlessly hopeful), or perhaps it could be from something more concrete than that. I had the absolute privilege today to meet Charlotte and Caoilfhionn, who make up two thirds of the legal team dedicated to securing #JusticeforLB. I sat in a pre-meet for an hour and can honestly say I’ve rarely felt I’ve been in the company of such professionals! They are a dream team, meticulous and knowledgeable, with right on their side – a phenomenal combination. I also got to meet Rosie (Connor’s sister) and Agent T (his aunt). There were also lots of other family members there to support, along with three members of the press. The day after Stephanie Bincliffe’s inquest, and the day before the Bubb bull is published, it would be easy to feel despondent and helpless. But I don’t, I feel optimistic and hopeful. Nothing we can do will ever bring Justice for LB, but hopefully everything we do will improve things for all other dudes. Sara and Rich you are remarkable. Thank you for sharing so much of yourselves with me, and with us, your collective campaign support. It’s an honour and privilege to be part of this, and to be acting for real change, in LB’s name. In answer to the Yellow Submarine cafe note on my lunch, it wasn’t quite a perfect day, but it was much, much better than I expected. Onwards #JusticeforLB. ps Apologies for the Bubb-esque tone of this post, I’m not normally so obsessed with food and cafes but I wanted to end with this pic so some context was needed! !